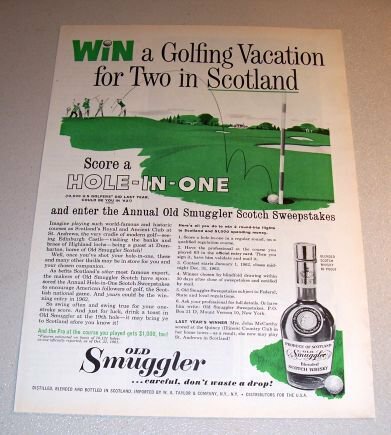 Being offered is an original 1962 Old Smuggler Whisky Magazine Print Ad. Item measures approximately 8.25" x 11.25" and is in very good condition. 1946 Color Print Movie Ad Night In Casablanca Celebrity Marx Bros.